This is a replica of a mail satchel cart used to transport multiple satchels of mail to ease the burden upon the mail carrier. The use of satchel carts is very situational and used in instances where the postal vehicle would be unable to reach a location with multiple post boxes. However, the use of the satchel cart must be approved by a Postmaster with its use being reserved by physically-impaired postmen first. 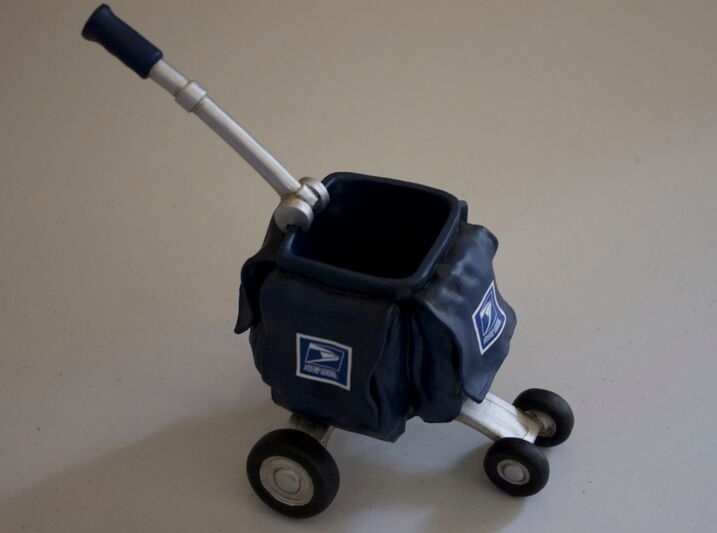 The carts are fairly resilient and can transport up to 70 pounds of mail, which is equivalent to two mail satchels. 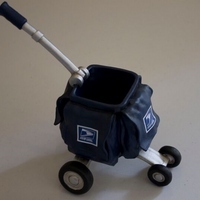 Today, the use of satchel carts is on the decline, as segues have become more widespread and exponentially decrease the physical toll of wheeling a heavy mail trolley. Post Office memorabilia collection at the Orlando Post Office. “Mail Satchel Cart.” RICHES of Central Florida accessed April 22, 2019, https://richesmi.cah.ucf.edu/omeka/items/show/5565.